Raimo is dead - long live Raimo. Two years ago, the Raimondo family sold their ice-cream company to a group of investors hoping that an injection of capital would bring a fresh start to the establishment. Since then, the company has grown and the original café has expanded, but what is it like to fill the family shoes at such a venerable institution? I asked Myriam Labbe, the new Manageress, and Wilfried Wattier, one of the young chefs whose job it is now to create the delicious desserts. It is often said that Paris is a ghost town in August, but for some people it is the busiest time of the year. This is certainly the case at Raimo, the oldest and arguably best ice-cream producer in the city. 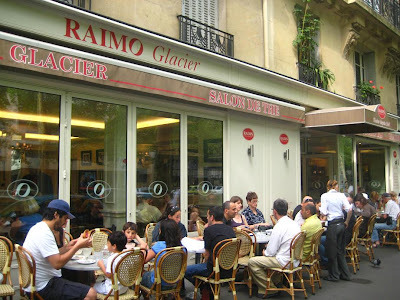 The Raimo Glacier on the Boulevard de Reuilly in the sleepy 12th Arrondissement was a family affair for over 60 years. The Raimondo family were immigrants from Italy who arrived in France at the beginning of the 20th century and who opened their first shop in 1947. Five successful years later they had earned enough money to move to larger premises, the café where Raimo is still installed today. Two years ago after contracts were exchanged, the café was closed for several months and renovated. Rather than sweep away all traces of the past though, the new management team decided to keep the name and use the heritage as a selling point. There were two major objectives though; expand beyond the confines of the café and recruit some young adventurous chefs who would boost and expand the product range. A delicate balancing act then between satisfying the existing customers and attempting to attract a new clientele. “It certainly wasn’t easy to come in and take over the running of such an institution” says Myriam Labbe, a young and dynamic manager with a sharp business mind. “We wanted to innovate, but you have to respect the local customers” she adds. When I remark that the established clientele, who have been coming here for generations, are reputed to be very demanding, Myriam Labbe agrees. “Yes they are” she says, “but this is understandable. They have known and loved this place for over 60 years and they are not slow to let us know if they are unhappy with something”. This of course also has many positive sides; “They are very loyal customers and keep us on our toes” she says. A waiter tells me of a recent incident that outlines this point. “We had a problem with the freezers one hot Sunday and we had to close the shop. When we told the people who were waiting to be served I thought there was going to be a riot. Some people must think that we put drugs in our products because they certainly seem to be addicted to our ice-creams!”. The Raimondo family are still advisors and pop in from time to time. It cannot be easy for them to see the family treasure transformed in this way, but their forthright opinions help the new team to know when they have been successful with an innovation. When they receive the difficult to win approval from the originators, they know that they can press ahead with a project. The family still see familiar faces though as most of the production and service staff were kept on after the sale, and three people have been at the establishment for over twenty years. The Raimo laboratory as it was. I’m shown the kitchen area, known as the laboratory, and Wilfried Wattier explains how this constant hive of activity operates. “On quieter days we experiment with new flavours, but most of the time this is a busy production environment. We produce around 250 litres of ice-cream a day here, but on an average warm summer day we can clear the entire stock”. One of the experienced production team in the laboratory today. What is it though that makes Raimo ice-creams and sorbets nicer than those of their competitors. “It’s the quality of the primary ingredients” explains Myriam Labbe, “which are sourced from a dozen or so suppliers who have worked with the company for a long time. Everything is fresh and is cut and squeezed by hand”. There are also some secrets involved in the production that go back generations, but of course Wilfried Wattier is sworn to secrecy. Tasting the products, the wonderful and subtle maple syrup or honey, the ginger or lemon that have a real kick, or the unusual violet or banana sorbets, I feel that they have no competition in Paris. This is possibly just a question of personal taste, but it is easy to see why their products should be so much nicer than mass-produced industrial ice-cream. “The major difference is the amount of air” explains Wilfried. “In factory made ice-cream around 60% of the product is air, but our products are closer to 15-25%. When the main ingredients are so tightly packed together you notice the difference immediately. The odour is stronger, the taste is more intense and the sensation in the mouth is different”. Another factor is visual. There are no garish pinks or screaming yellows here, just delicate pastel hues. In fact what you would expect to see when using only natural ingredients. The exact product range is difficult to list as it changes throughout the year. “Don’t expect to find strawberry ice-cream in November” says Myriam Labbe, “our products follow the seasons”. What do we have to look forward to in the autumn and winter though when fresh produce is more scarce? Wilfired Wattier thinks, “We make a Beaujolais sorbet” he replies. When I mention that I’d heard that it was the impossible grail of ice-cream producers to make something from wine he smiles. “Yes, but the secret to producing ice-cream and sorbets with alcohol is to use a lot of fruit. We know that the Beaujolais flavour will only work if we add plenty of grapes.” Again, the secret is the natural. An old client returning to Raimo today may find it different but they won’t find it has changed. 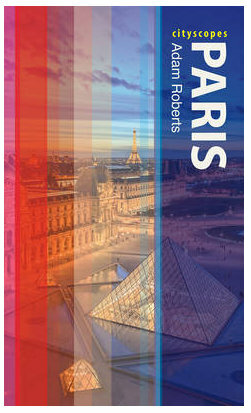 Note: This post is the first in a new series that I have called Paris People. I have left out the word ‘invisible’, but I am nevertheless interested in focusing on people who work behind the scenes. This series will mostly be about working people, individuals who are passionate about their business and who you are likely to come across when visiting the city but not necessarily notice. It also gives me the opportunity to write about some of my favourite places! Another new series of posts will begin soon too, this time featuring guest writers! It's very interesting that you chose le Glacier Raimo over the very famous Berthillon. A terrific post for this new series. Made me quite hungry, and I've just eaten lunch. Sounds delicious, may have to check it out today since it's going to be a scorcher. I like it, it's a good idea for a series. I'm very interested. I'm sure I will enjoy Raimo more than Berthillon! Thanks for this address and a good idea you have about "people"! I've enjoyed your blog for quite some time. This is a wonderful feature and I love seeing neighborhood business spotlighted. Raimo used to be our own little secret in the 12th for over 20 years! But now they have expanded to a few other locations so I was worried the quality would suffer but no, the marais ice cream is just as good. 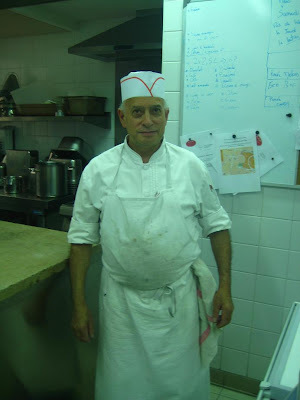 BTW to the post above about Berthillon, maybe because Raimo is actually the oldest in paris?